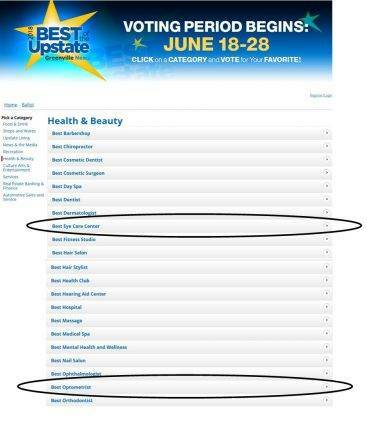 The #1 Eye Doctor in Greenville Now Serves Simpsonville Too! Just north of the intersection of Woodruff Rd. and S. Highway 14 in Greenville. Just north of the intersection of Woodruff Rd. and S Highway 14 in Greenville. Established in 2003, our Greenville Eye Care clinic specializes in caring for all your vision needs. 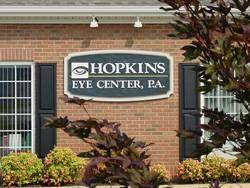 We handle everything from Comprehensive Eye Exams to computer vision problems, specialty lenses and eye surgery. By staying current with the latest developments in eye care, prescription lenses and advances in contact lens technology our vision center can provide you with the best vision, advice and fit today—and in the years to come. Schedule an appointment with your Eye Doctor In Greenville SC today! 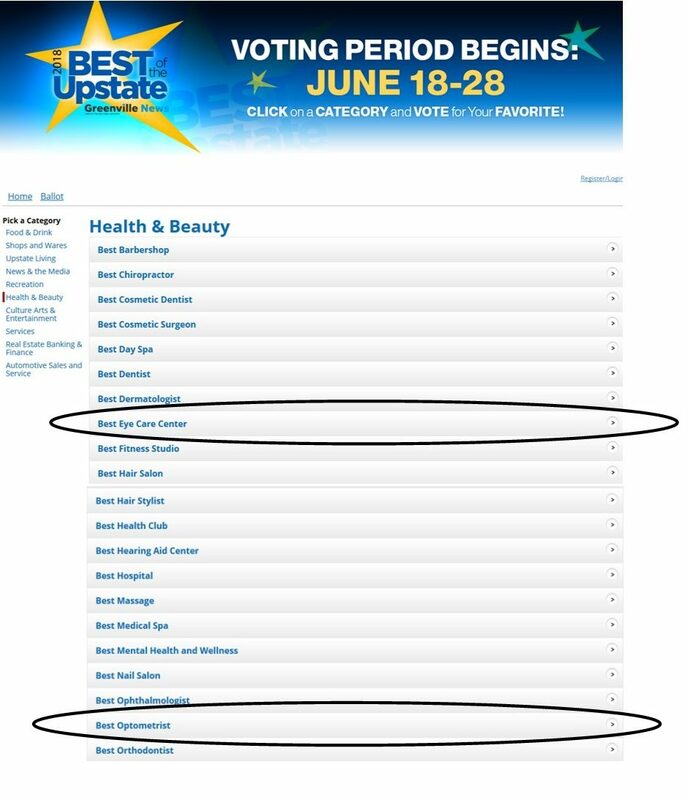 Please click below to vote for your best eye care center and ALSO for your best optometrist. EVERY vote counts – especially yours – Can you vote today?